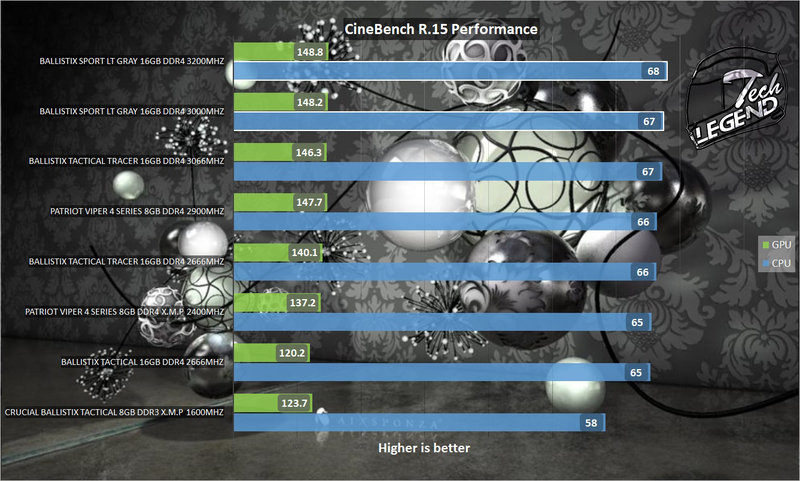 The RAM was tested using the CPU at its turbo frequency of 3.9 GHz. 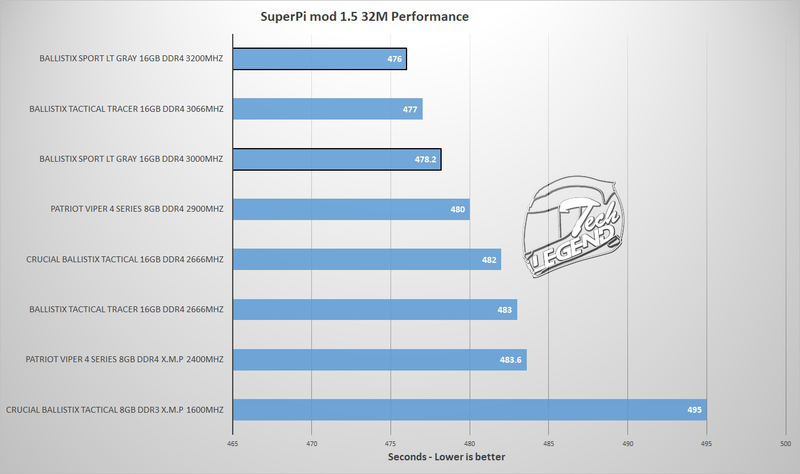 The memory was firstly tested using the standard X.M.P frequency while the second test was done with the memory at the maximum frequency reached while Overclocking. Each test was done a minimum of three times. 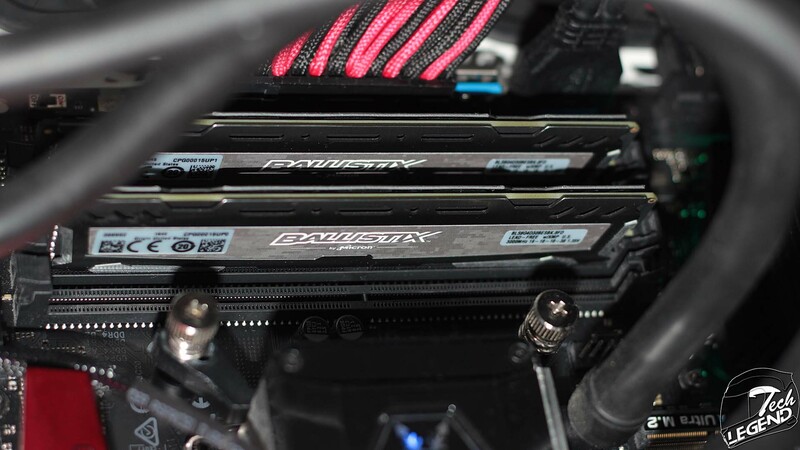 The Ballistix Sport LT Gray 16GB DDR4-3000 is priced at around 100 USD or EUR depending on the retailer. The competitive price makes the Sport LT series ideal for budget-oriented Ryzen system, the new AMD CPUs benefiting from higher RAM frequencies. 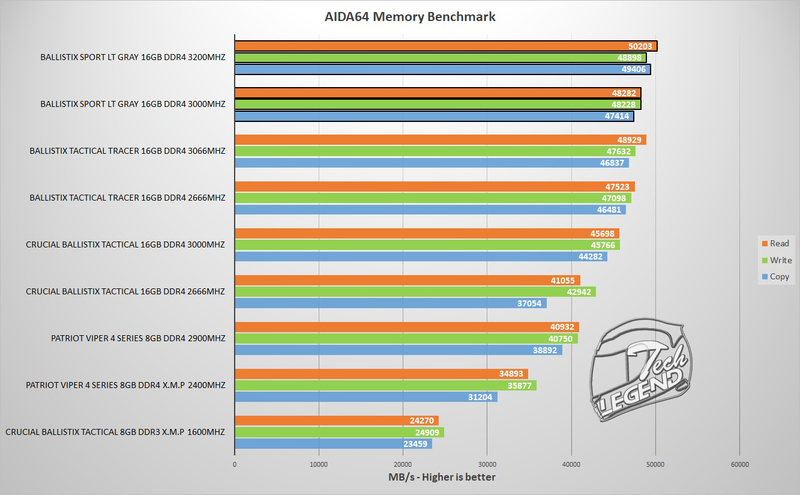 The potential for overclocking is good, without changing the timings and the voltage this kit was able to overclock to 3200MHz with ease. 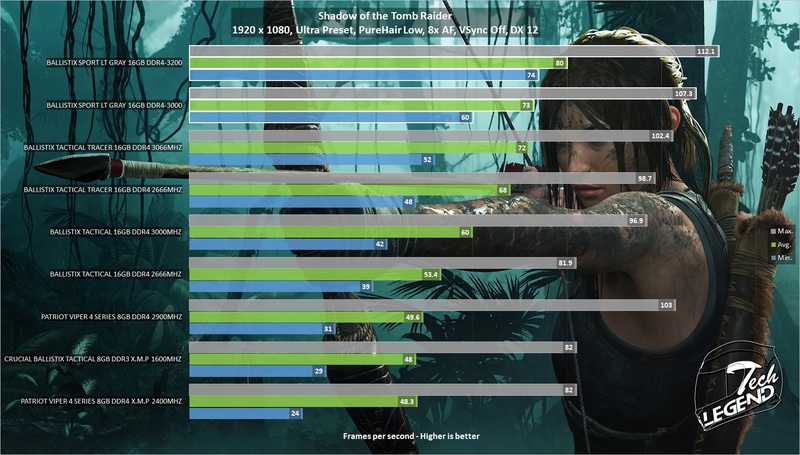 The small overclock results in an 8% performance gain in games and synthetic benchmarks. The timings can also be lowered while maintaining the 3000MHz frequency. 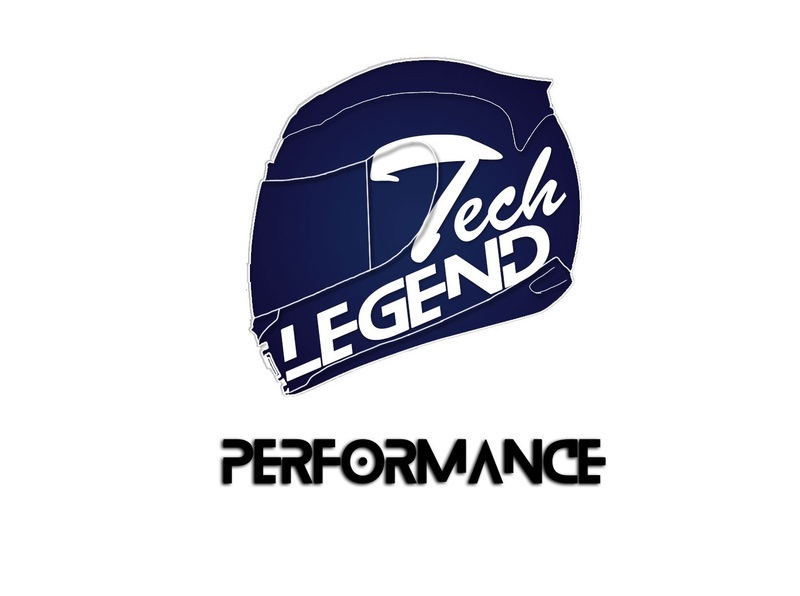 Ideally, anyone using the Sport LT would want to increase the frequency while also lowering the timings, in order to gain the most performance. The design and multiple color options add more value to the overall package, as this makes the RAM kits easier to match with the color scheme of the rest of the components in your system. 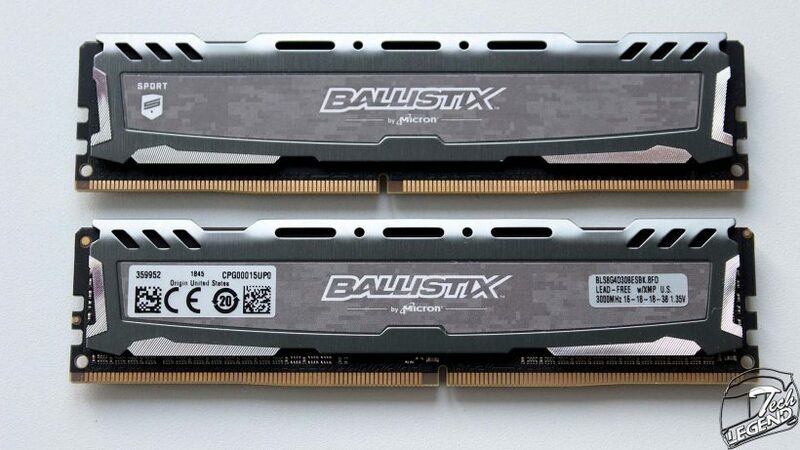 There is no LED integration or plastic elements on the heatsinks, the only graphical elements present on the RAM sticks are found on the side sticker that also features a camouflage pattern. 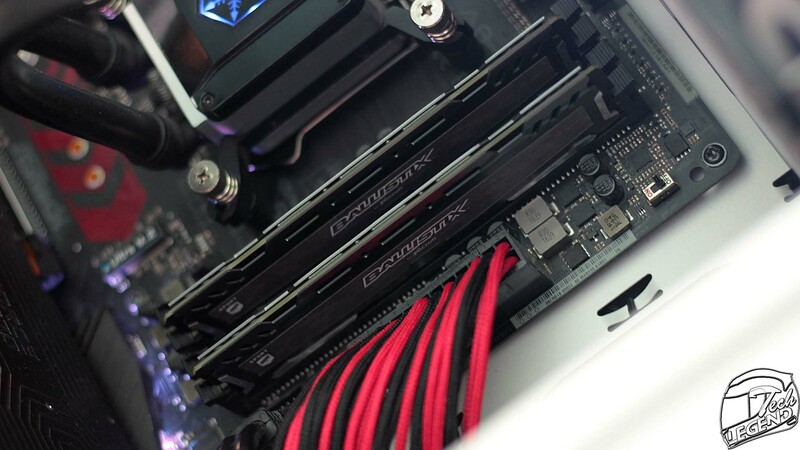 In conclusion, the Ballistix Sport LT Gray 16GB DDR4-3000 is a very good memory kit that is available in a wide range of colors, capacities and frequencies. 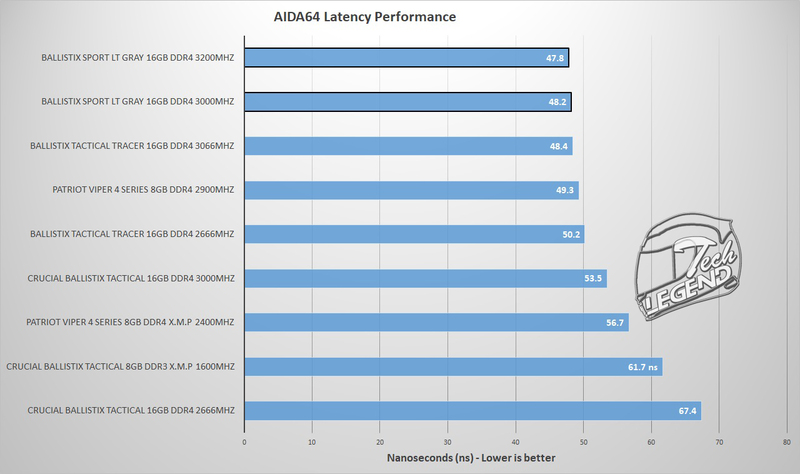 All these features are paired with a good overclocking headroom and the possibility of lowering the timings to gain more performance.